In executing (deeds like) receiving, giving and responsibilities; if not executed instantaneously, time shall ingest the essence/sweetness (of the deed). It's all in the timing! Every deed has its own worth, based on the timing. What is appropriate today, doesn't necessarily hold good tomorrow - especially in deeds like giving, receiving or discharging one's duties. The poet says, when the need for these deeds arises, if not done instantly, their essence will dissipate with the lapse of time. It is said a little help at the right time is better than a lot of help at the wrong time! The primordial importance is not given to the amount of aid, but the time of aid. Time is of essence in performing our duties as well. When a child has upcoming exams, obviously he studies before and not after! The scenarios of giving and doing duties seem obvious. But how about the aspect of receiving! Why is timing of any importance there? Receiving honestly and humbly is the best thanks for a good action. When one is at the receiving end of someone's good deed, he shows his gratitude by receiving at the right time. Education is what most receive - it needs to be garnered with the right spirit at the right time, or he may lose crucial life lessons that come his way! Time is a river and no one can touch the same water twice. May all of us be blessed to not procrastinate these deeds or dilute their sweetness. May we all enjoy the bliss of these endeavors to the fullest extent now and always! 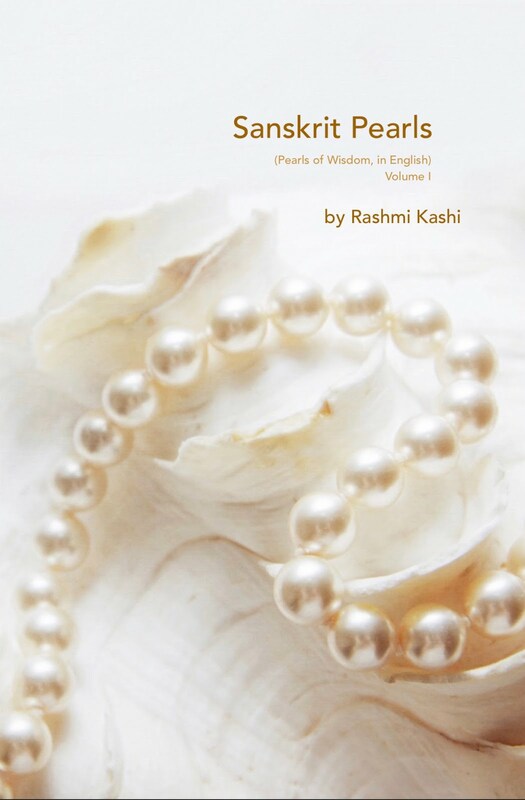 Informative about pearls and very well maintained. Its all about the pearls, thanks for this kind of posts, keep updating. Namaskar. Thank you for doing pada-vigraha on the slokas, it tremendously helps newbee Sanskrit enthusiasts. Glad it is being helpful! Thank you Yashas. Working on something else currently. Hence not adding new ones very frequently. Please keep visiting though, will post new ones every now and then.